All rehearsals of the Stampede City Chorus are open rehearsals. Guests or spouses are welcome to join us for our Wednesday rehearsals. When you arrive, you will be encouraged to experience barbershop music first-hand. We will help you find a vocal range that is comfortable for you to sing and you will be able to sing along with melody singers (Leads), Basses, or harmony parts (Baritone or Tenor).  The Stampede City Chorus is a chorus with members who have a range of musical talents. Some members are able to sight-read music but many members learn their music from the learning media that are available for the chorus repertoire. The music leadership of the chorus is committed to working with the talents of the members to create an effective presentation for our audiences. The music leadership will work on vocal techniques in warm-ups and as part of the rehearsal to help members improve the quality of their singing to enhance the overall quality of sound in the chorus. The leadership of the chorus will endeavor to make membership in the Stampede City Chorus a fun and rewarding experience. After members have learned their music from the learning media and practiced it with the chorus, all members are expected to be able to sing the right notes and words without printed music when on the risers. To make an effective presentation of the music, some visual moves will be combined with the sung music and members are expected to be able to perform these moves in time with the rest of the chorus. Members are expected to attend rehearsals so that they can practice the music, improve their singing, learn the visual moves, and enjoy the fellowship of the chorus.